LED Industrial And Mining Lamp is based on the traditional high-power industrial and mining lamp technology using energy-saving technology to achieve the purpose of saving energy consumption, improve illumination, thus reducing the cost of investment funds, saving costs. A good High-Power Mining Lamp should have a good heart. The heart of led mining lamp is chip. The quality of chip directly depends on the luminous flux of led mining lamp and the speed of light decline. Secondly, heat dissipation, the choice of poor heat dissipation aluminum, because the temperature is too high, resulting in led mining lamp life reduced, serious may burn out the power supply drive. 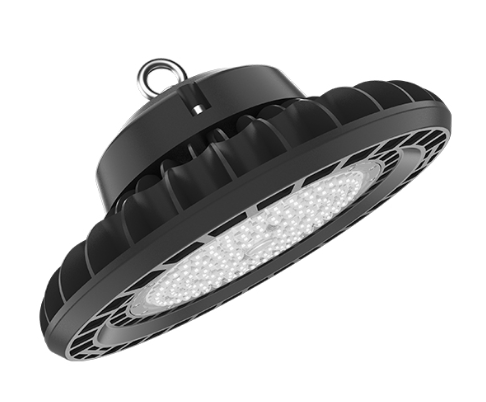 There is also the power supply, the power drive depends on whether the LED High Bay Light can work normally and work efficiency and impact life. In addition to the points noted above, there are many things to pay attention to, color should be coordinated, to avoid the procurement of high-power mining lamps glare, soft light, uniform brightness, effectively avoid long time under the irradiation of construction personnel eye fatigue. Price determines quality, mining lamp heat dissipation choose poor heat aluminum, because the temperature is excessive, resulting in led mining lamp life reduced, serious may burn out power supply drive. The mechanism of the luminaire should use the high-strength alloy housing, such luminaire can Enough to resist strong collision or impact, to ensure the safety of life. High-power industrial and mining lamps adopt integrated heat dissipation technology, with high stability, high reliability and high thermal conductivity. In terms of safety, high-power industrial and mining lamps adopt integrated design of heat dissipation and heat conduction. It reduces the risk of falling off, corrosion and leakage, and the inner cavity presents negative pressure when working, thus reducing the risk of expansion. In terms of energy saving, it directly USES high-power LED lighting instead of heat dissipation. Traditional air cooling and water cooling can avoid secondary energy consumption. In terms of environmental protection, its manufacturing process and use process are free of toxic and harmful substances.